Totalcontent | fairytale ending at the 2016 D&AD Awards. Home » awards » fairytale ending at the 2016 D&AD Awards. 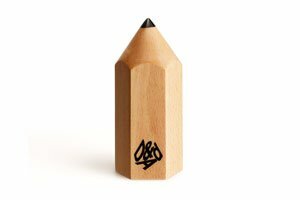 We entered two tales, ‘Little Red Livelihood’ and ‘The Three Little Capitalist Pigs’, into the Writing For Design category, and managed to bring home the bacon, despite competition from some seriously good campaigns by big branding and ad agencies. Many thanks to Andy Goodman for his inspired illustration, and Ripe Digital, who did a sterling job on the printing. There’s some super-exciting news in the pipeline about the full set of four Business Fairy Tales, which we’ll reveal as soon as we can. Watch this space. And in the meantime, let’s hear it for the little onikers!